The making of secure livelihoods. 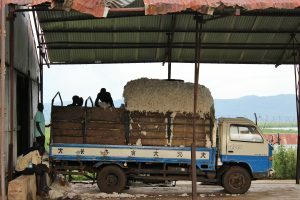 This truck is completing one of over 8’000 such journeys this season, bringing cotton from rural smallholders to global markets. As the start of the new marketing season looms, there is a high level of excitement across the whole of Uganda. For the farmer, markets have opened; the energetic youth are excited to find work loading and unload produce from traders’ trucks; the traders are thrilled to see business picking up, eagerly moving from village to village and door to door to fill up their trucks. Transporters are excited, their trucks are becoming busy clambering from fields to marketplaces. The labourers are returning to agro-processing companies, looking for employment through the six months of the season. The agro-processors nervously eye thousands of tonnes of raw materials entering their gates and are busy making phone calls to both the local and international markets seeking market for their final goods. Landlords are excited because traders assure them of steady rental business for the next six months. The local tax officers sit eagle-eyed, waiting to levy any truck or store that they come across in their area. The whole nation should be happy to see citizens with cash in their pockets after months of investment into this country’s wealth – land. Some of the workers GADC are employing for the next six months. GADC has had a major role in creating such excitement across Northern Uganda. For the next six months we will be directly employing over 500 workers and many more through our networks. This intervention has been of particularly high importance to Rhino Camp Sub-County. For five years, the Rhino Camp Ginnery lay dormant. With no major source of employment, and a plethora of scrap materials inside the compound, this could easily have spelled the end of cotton ginning in Rhino Camp. However, led by ginnery veteran Ramadan Doka (now a GADC Field Co-ordinator), the community fiercely guarded the ginnery, enabling GADC to return it swiftly to operation in 2016. The reopening of Rhino Camp’s ginnery has brought the small trading centre in Arua District back to life. One local restaurateur eagerly awaits the ginning season, “when the ginnery operates, we are very busy. We get double or three times the customers and many of these visitors are only happy to eat fish caught fresh from the river”. However, the major challenges are the ongoing downpours in the north of the country. 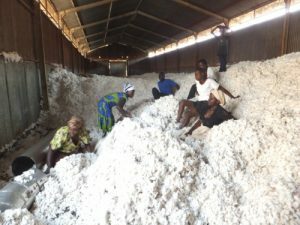 Our field manager, Mr. Centurio Ochieng, reports a dampening of buying: “we have slowed down operations because too much rain is damaging the quality of the cotton”. The cotton plant needs sunshine for it to open. After opening, rainfall is devastating. Drying cotton before its delivered to the ginnery. 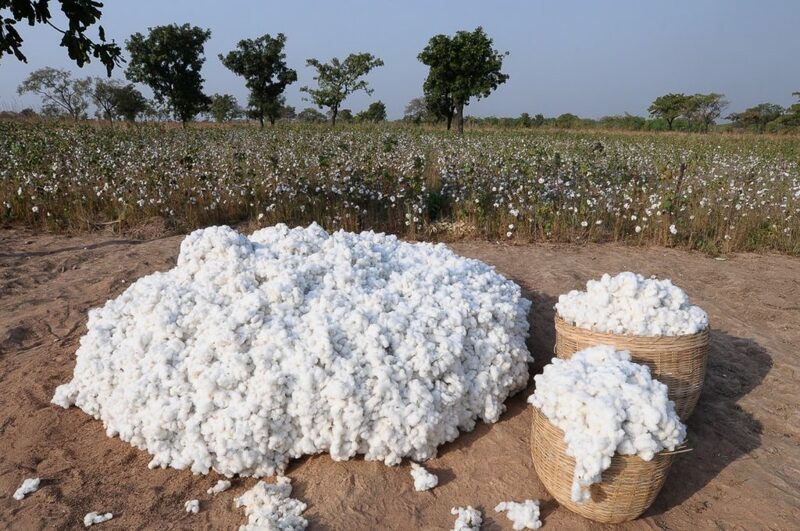 GADC has a projection of buying over 26,000 tonnes of seed cotton from farmers, providing incomes to the farmer, labourer, landlord, transporter, trader and tax man. 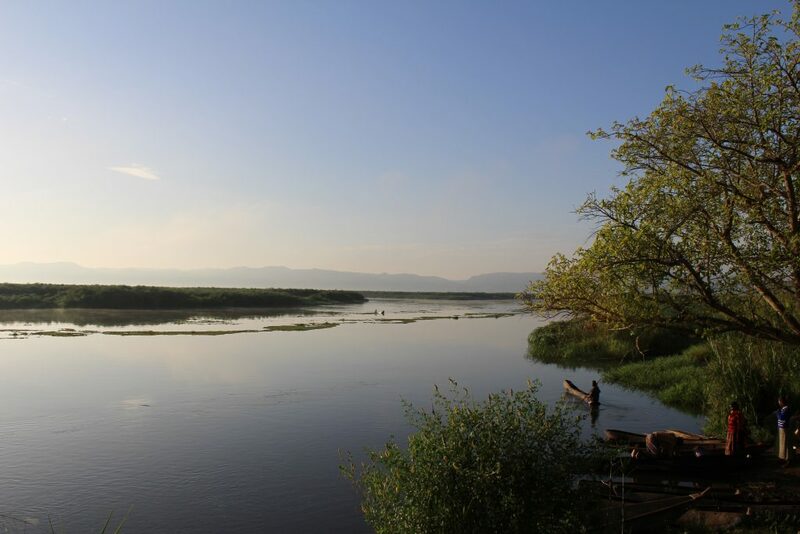 Fishermen and women set off onto the River Nile from their landing site, a stone’s throw from Rhino Camp Ginnery.